The NHL All-Star Game could be headed for St. Louis if planned improvements to Scottrade Center are completed. 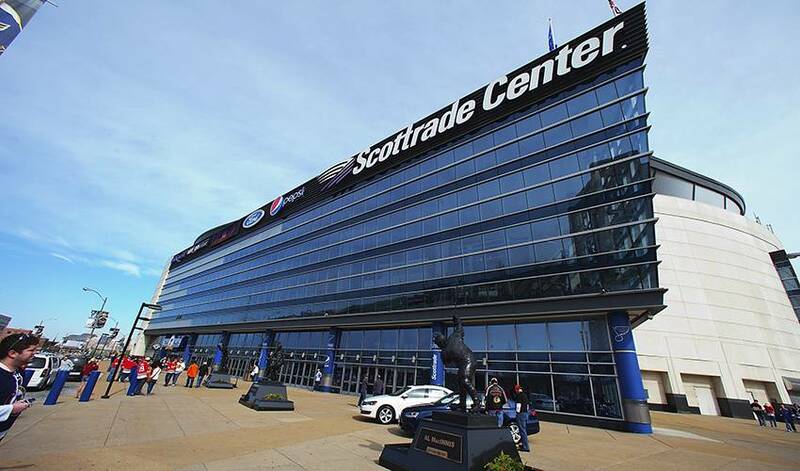 ST. LOUIS — The NHL All-Star Game could be headed for St. Louis if planned improvements to Scottrade Center are completed. The Blues and the city are in the midst of a $64 million renovation of the 24-year-old facility. The first phase — including a new scoreboard, new restrooms, three new concession stands, LED lighting, a new sound system and other infrastructure improvements — is already done. "I think it's fair to say, if all the upgrades are completed ... there will be an All-Star Game here," NHL Commissioner Gary Bettman told reporters before the Blues hosted the Colorado Avalanche on Thursday night. "I can't give you the date so I'm not making an official announcement or reward, but there's no reason why we couldn't have an All-Star Game here." St. Louis hosted the Chicago Blackhawks in the Winter Classic at Busch Stadium a year ago. "We brought the Winter Classic here knowing that it would be successful," Bettman said. "They're great hockey fans and they're great sports fans here in St. Louis. And we knew that it was a sensitive time and it would be good for the city. It reinforced everything I felt about this market as a sport and hockey market." Bettman also addressed the scrutiny surrounding coach's challenges for goalie interference. He said he believes the rule is being called correctly, but the intensity of the reviews has overblown the issue. "We're going to probably be looking at fine-tuning exactly how we do this, but I think it's getting a disproportionate amount of attention," Bettman said. "With respect to coach's challenges on offside, we went with the two-minute penalty, maybe that's something we go with goaltender interference." Bettman pointed out coaches have been more selective in challenging for offside since the stakes were raised. Last year at this time there had been 77 coach's challenges for offside calls, and this year there have been 40.